advocating for a strengthened African Court on Human and Peoples’ Rights and African Commission on Human and Peoples’ Rights. 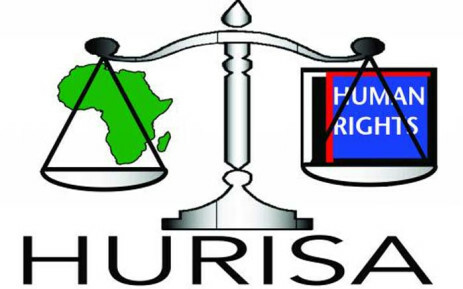 HURISA conducts training workshops on the African System for the Protection and Promotion of Human Rights in South Africa. NGOs, Community-based organisations, as well as departments of government and governmental institutions attend these training workshops. Participants use the knowledge they gained to promote the African system in their respective working environment. Organisations are encouraged and assisted to apply for observer status with the African Commission. Presentations are made to the South African departments of Foreign Affairs, and Justice and Constitutional Development, on the government’s stance on refugees, indigenous peoples, human rights atrocities in Zimbabwe, Durfur – Sudan, and Swaziland. Other issues include the nominations of independent, impartial Commissioners of the African Commission, and the timeous submission of the South African government’s periodical reports to the African Commission. HURISA organises preparatory meetings for South African NGOs interested in engaging with the Commission. Several NGOs as well as government departments and Chapter Nine Institutions attend these meetings. Presentations are made on new developments at the Commission, the African Court on Human and Peoples’ Rights, the relationship between national institutions and the African Commission, and the South African government’s obligations to the Commission. HURISA organises financial support and lead a South African NGO delegation to the NGO Forum meetings that precedes the Commission’s sessions. The delegation also attend the open sessions of the Commission. A report back meeting takes place after each session of the Commission. A substantial part of HURISA’s annual African Human Rights Camp focus on the African system for the protection and promotion of human rights. providing technical support to entities seeking to use the Court to protect human rights in Africa. HURISA hosts the secretariat for the Coalition, and is engaged in joint advocacy strategies with many African and international organisations.